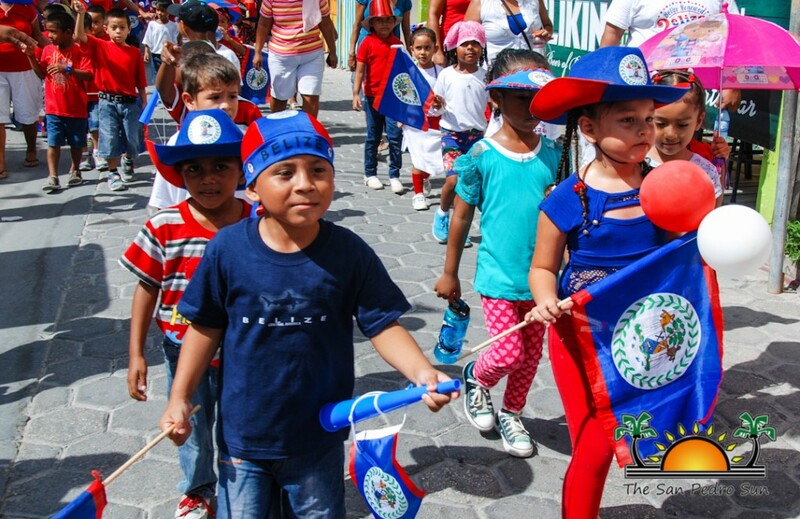 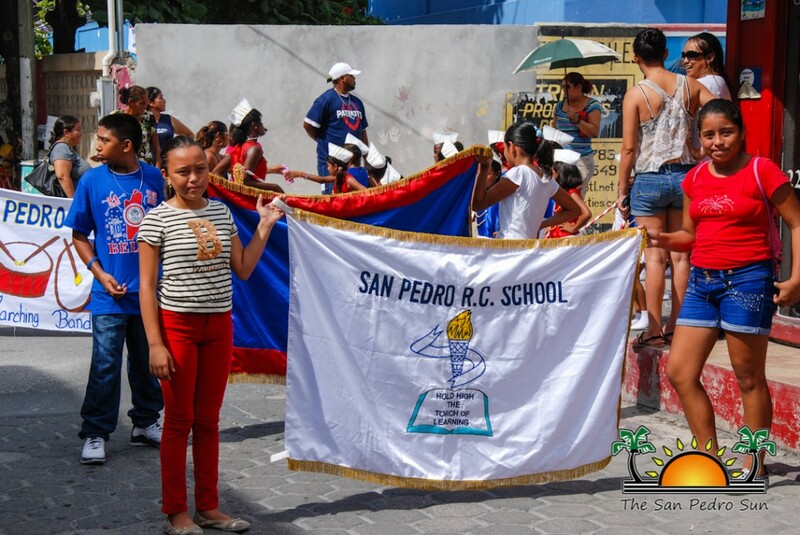 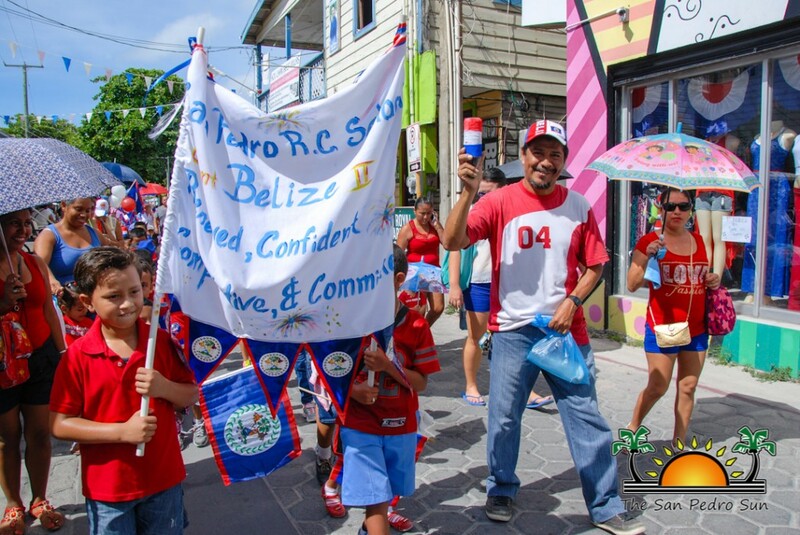 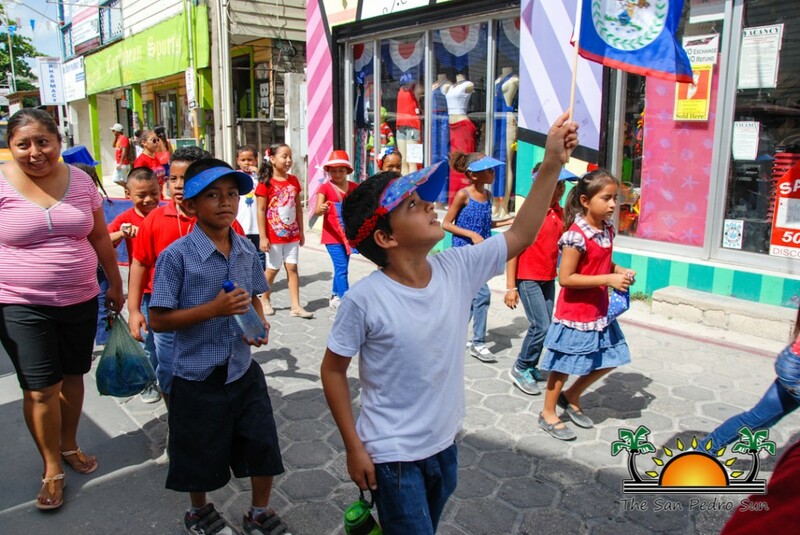 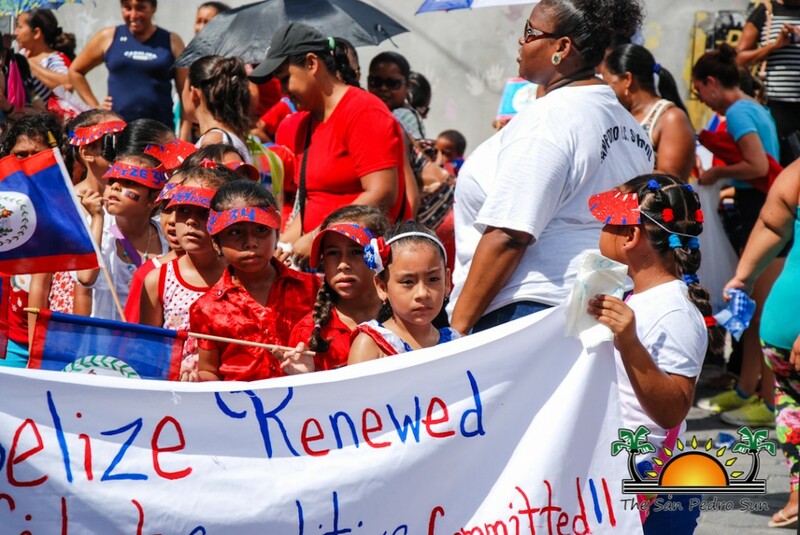 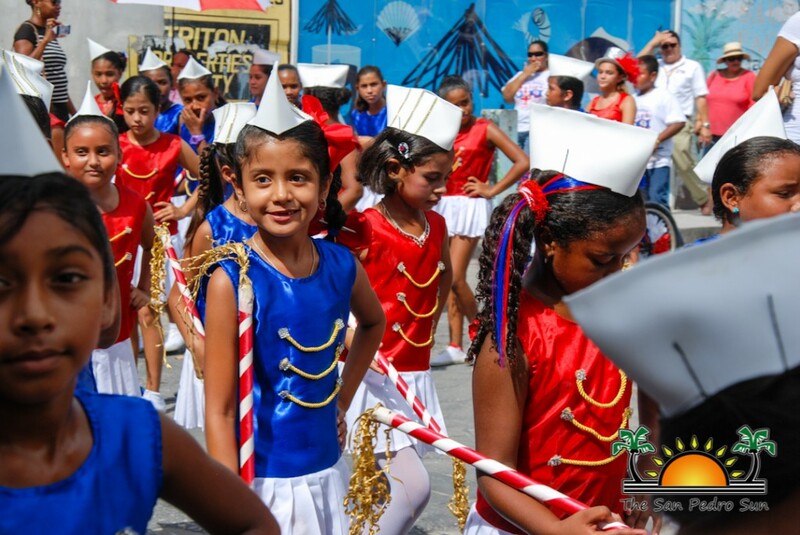 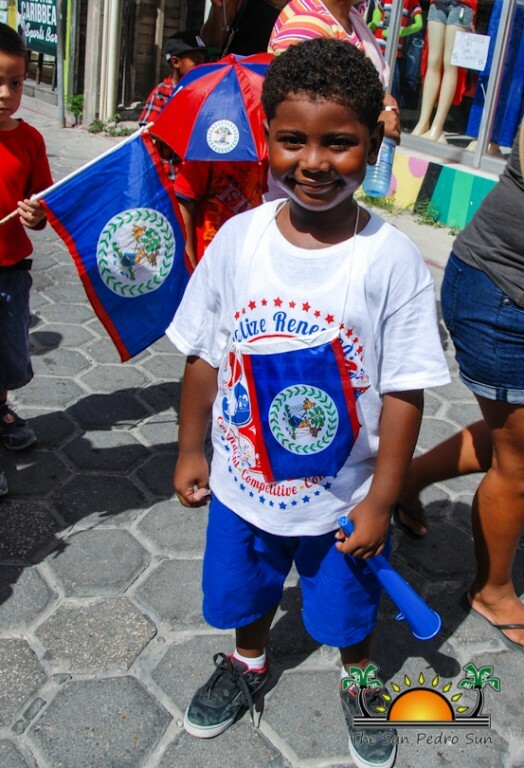 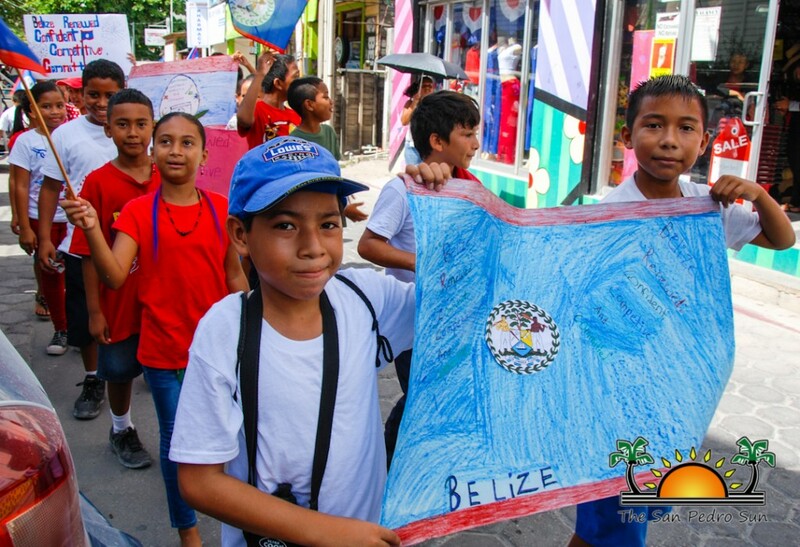 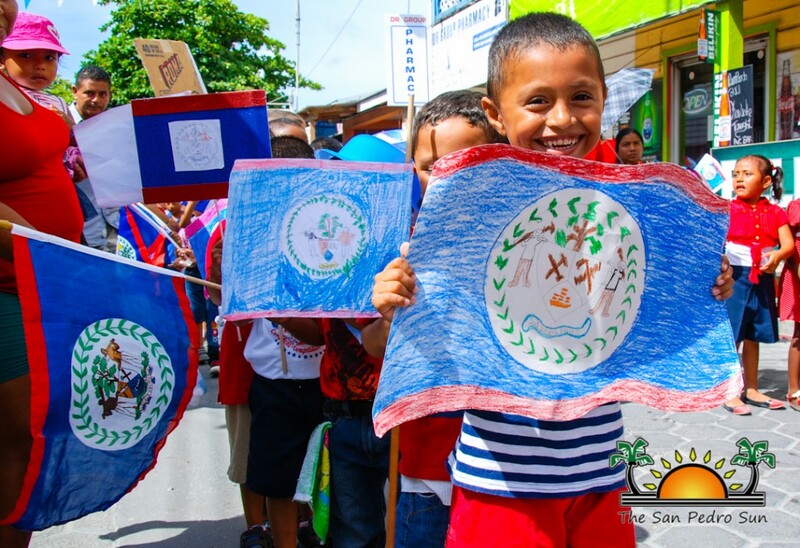 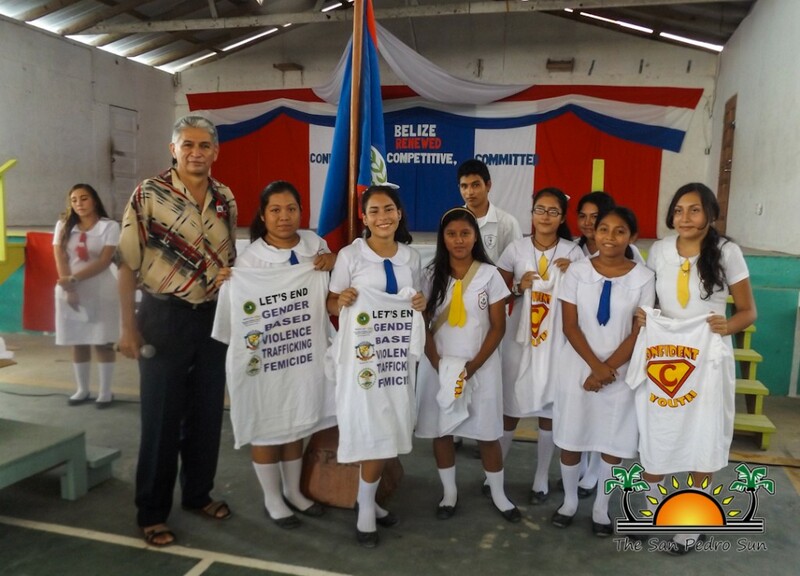 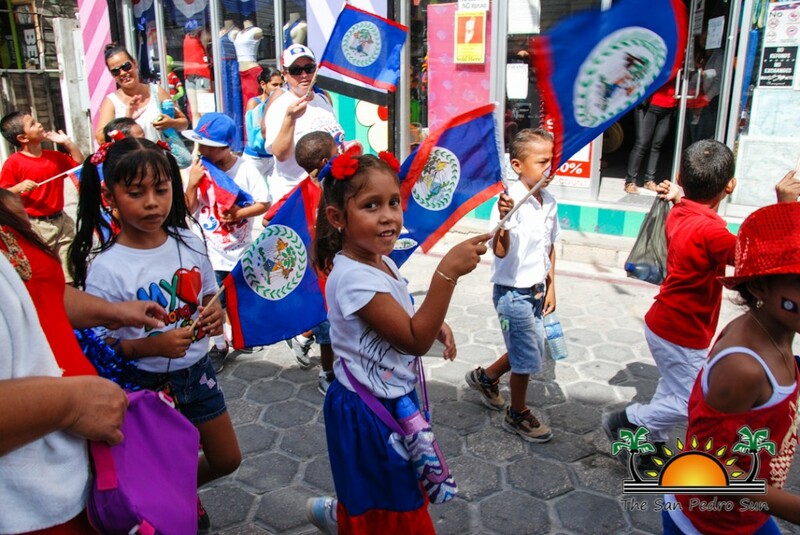 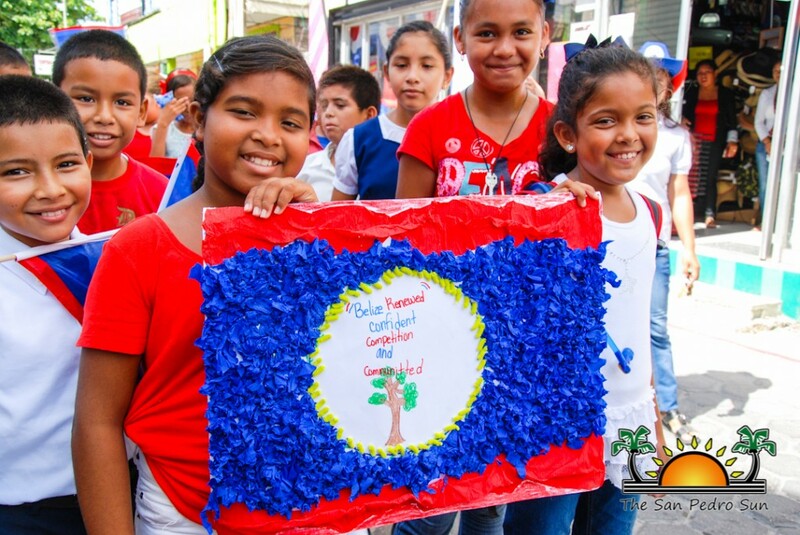 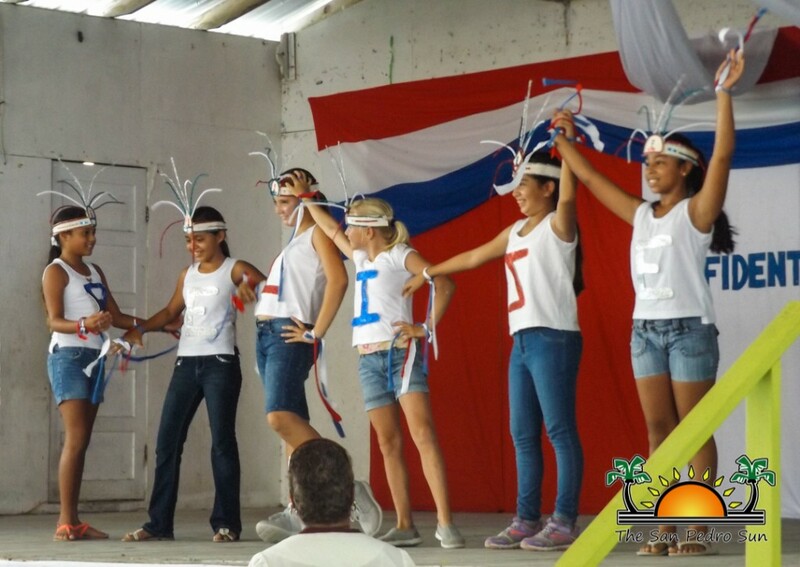 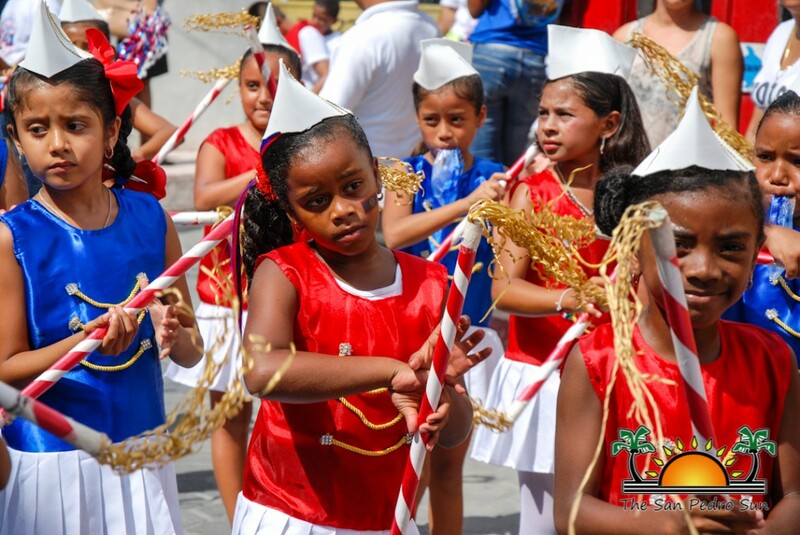 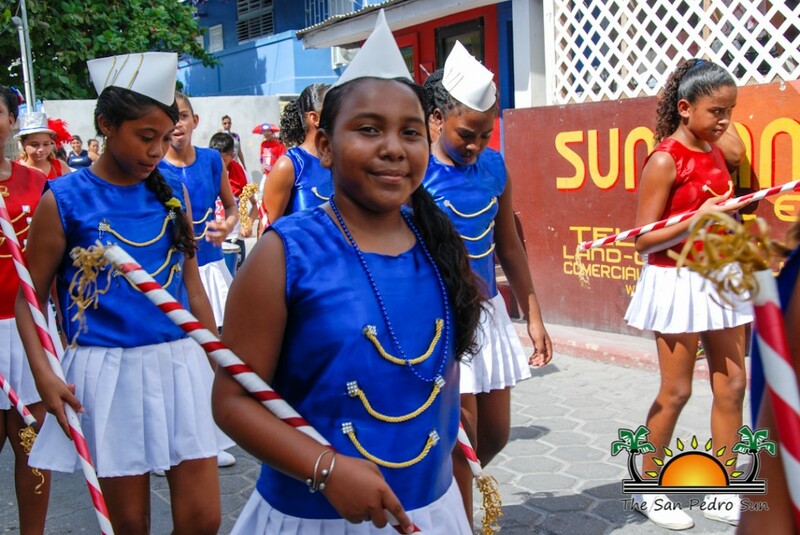 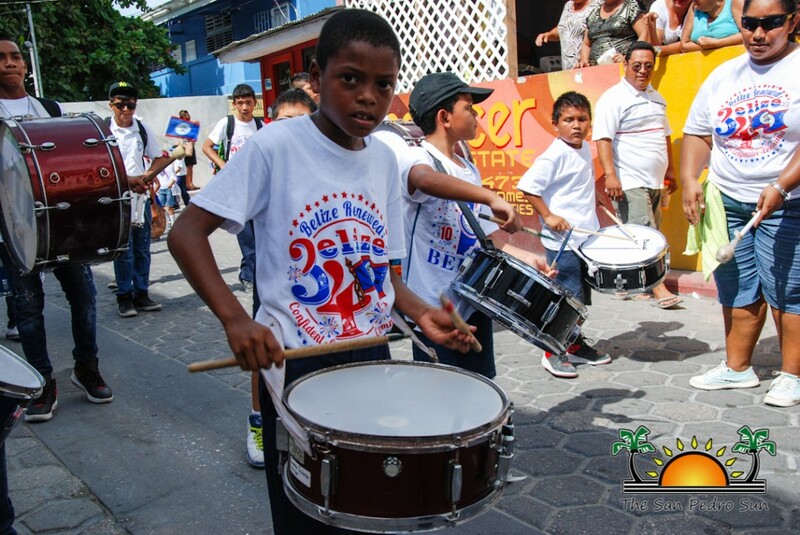 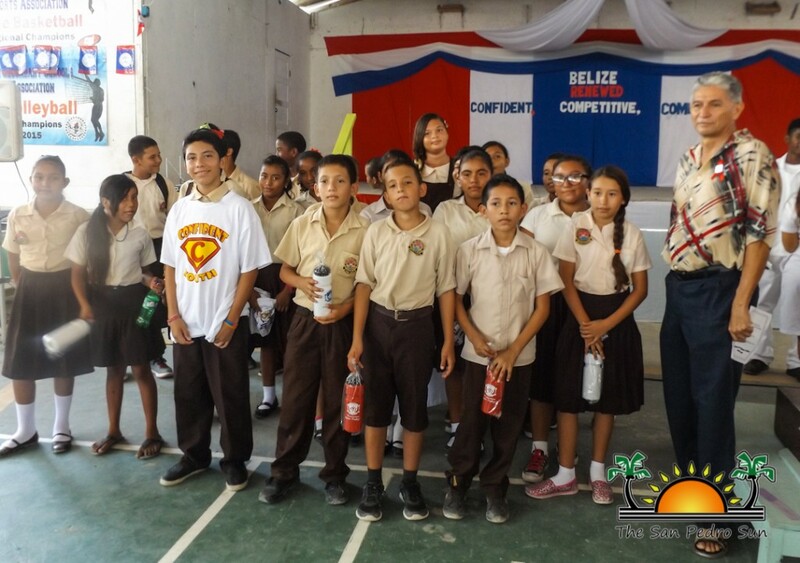 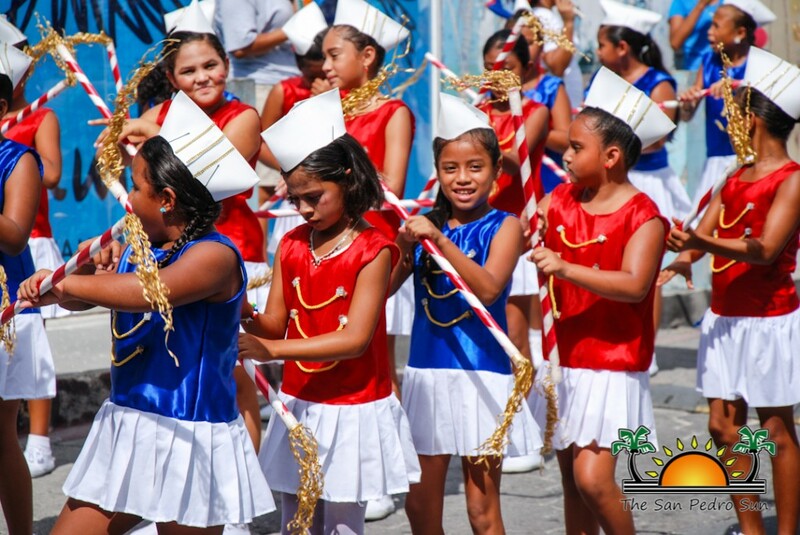 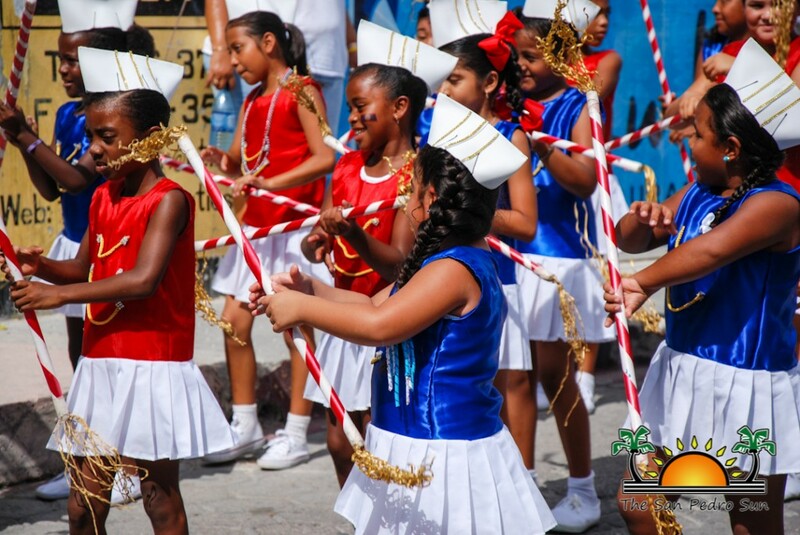 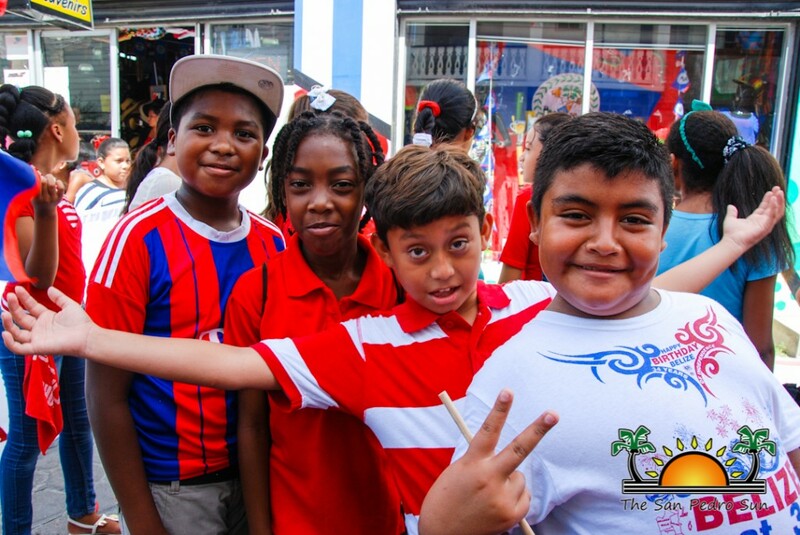 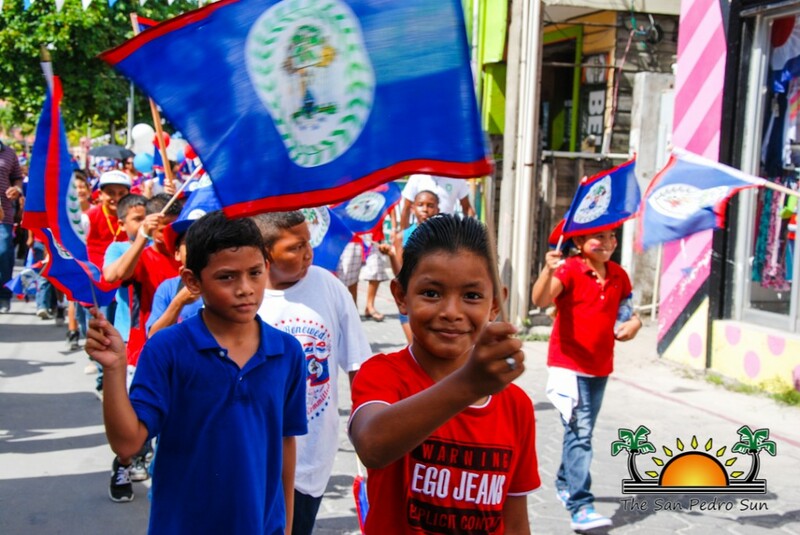 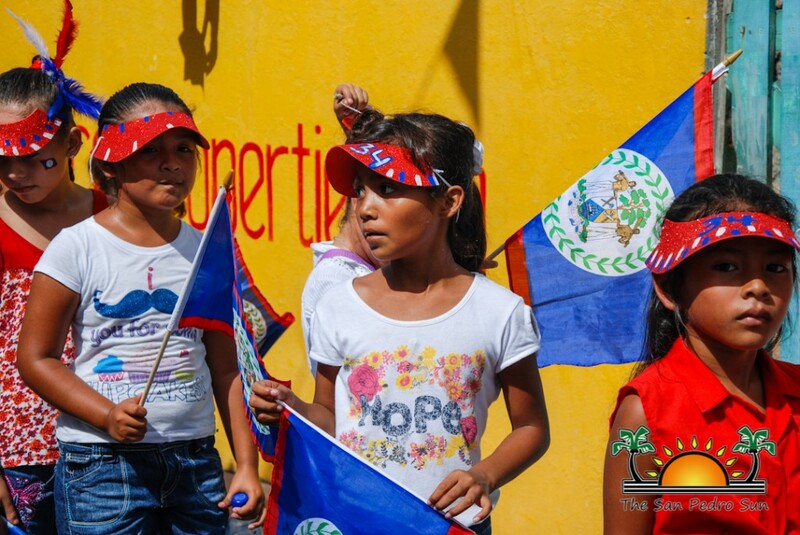 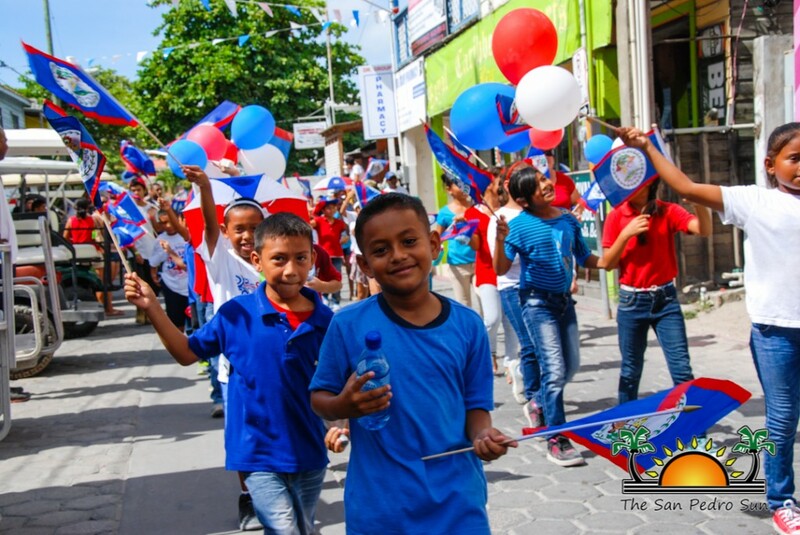 The various schools of San Pedro Town gathered on Friday, September 18th for the yearly Children’s Rally organized by the Ministry of Education. 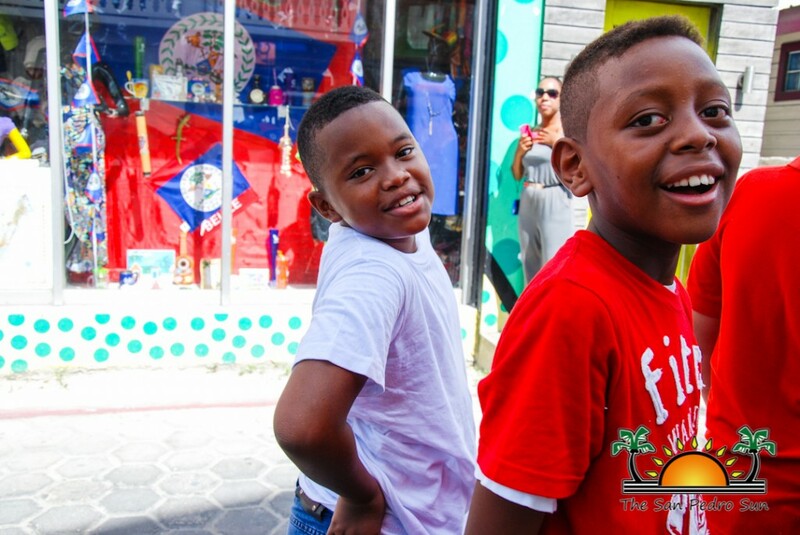 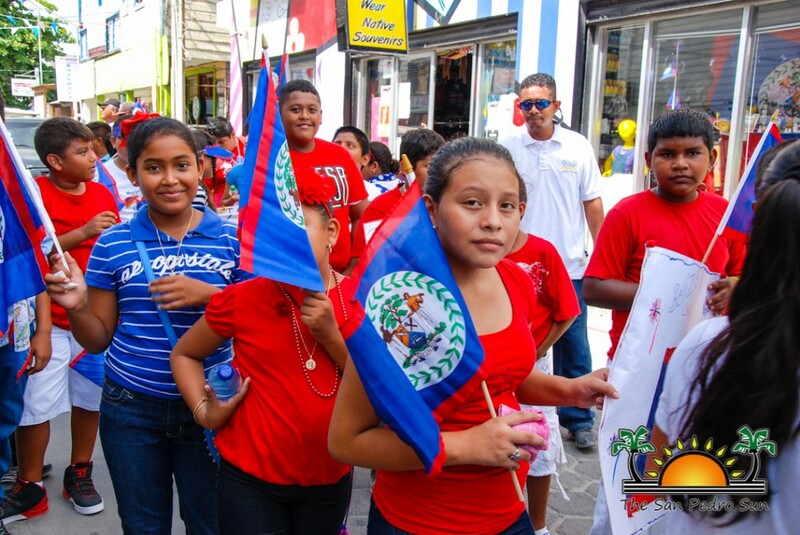 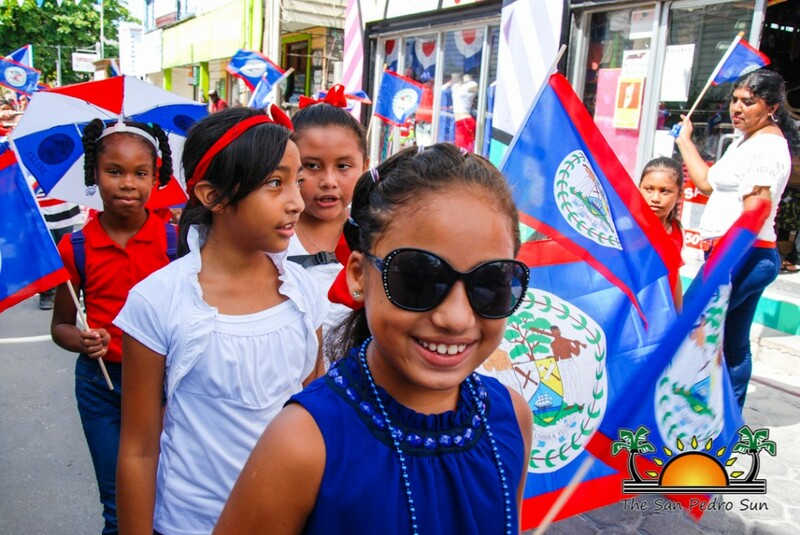 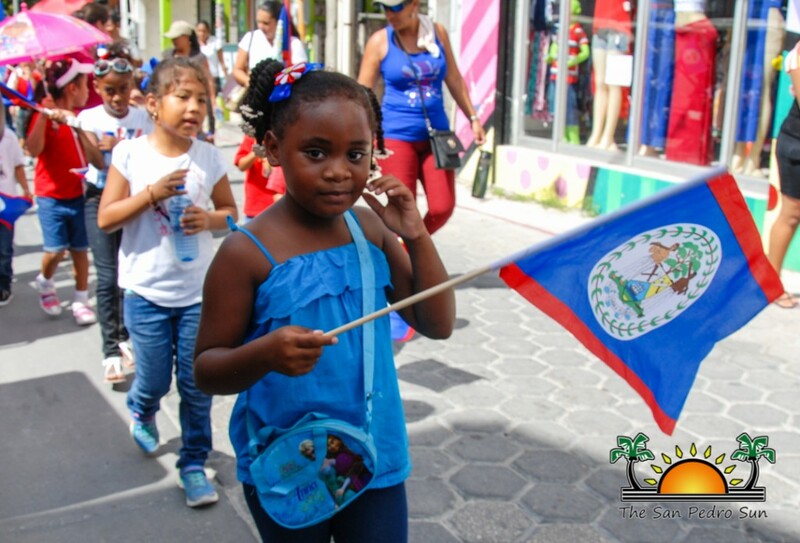 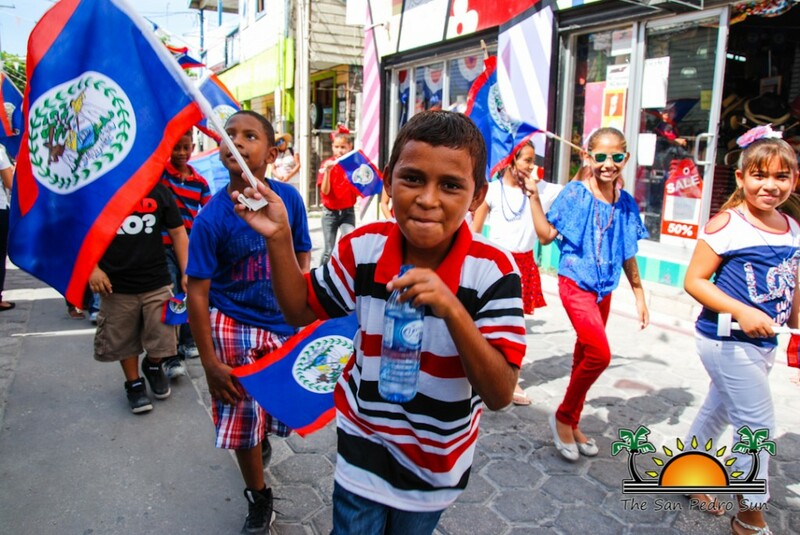 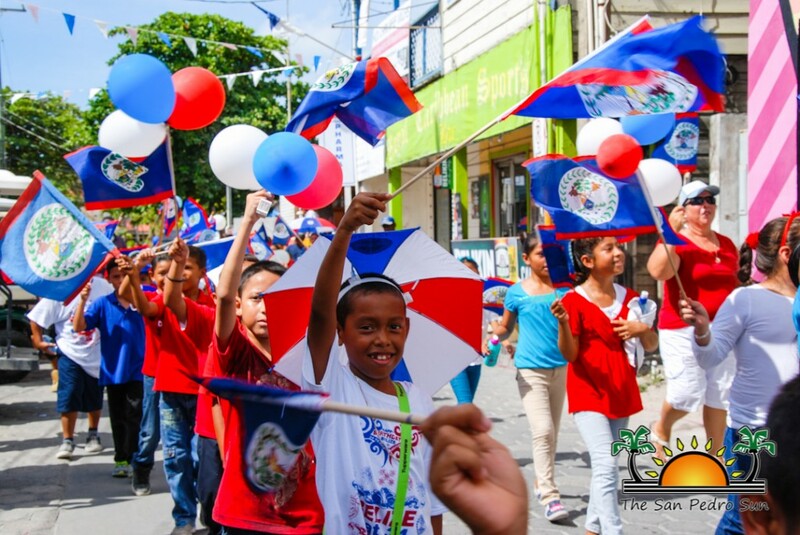 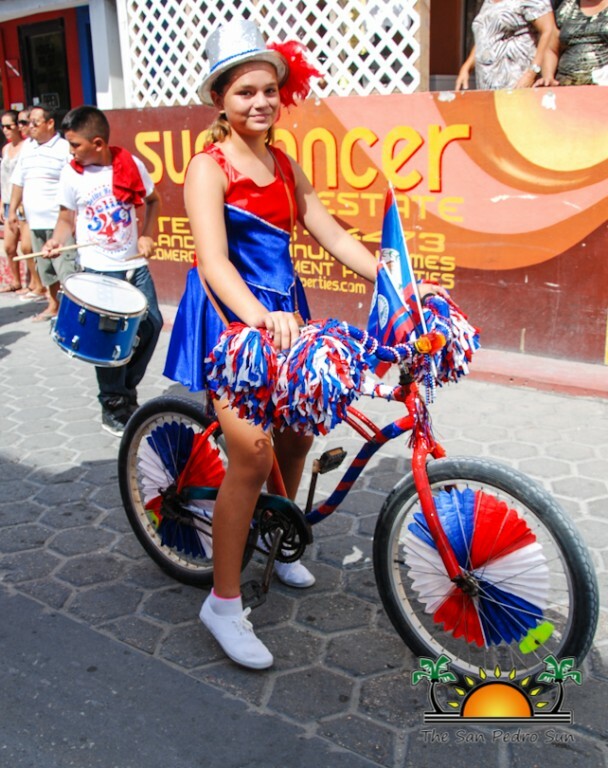 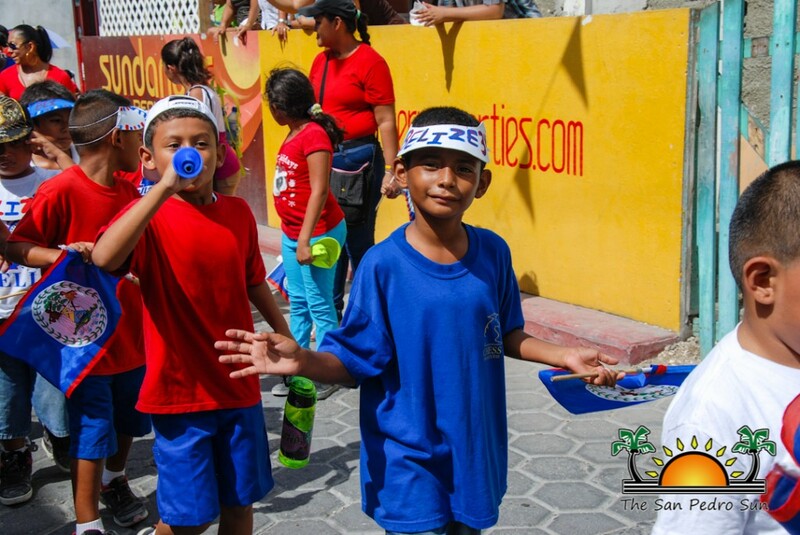 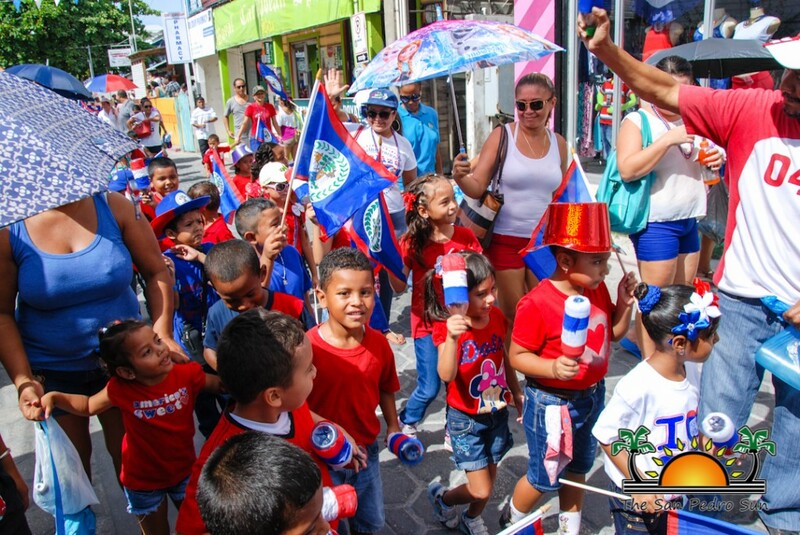 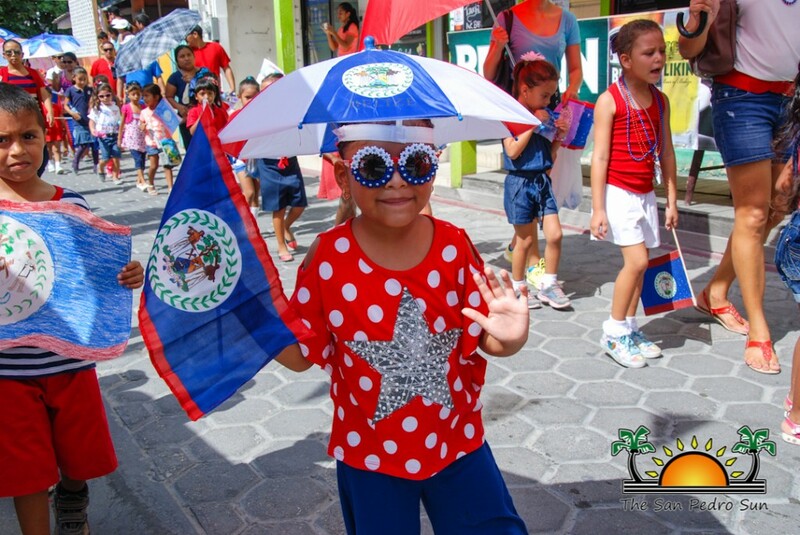 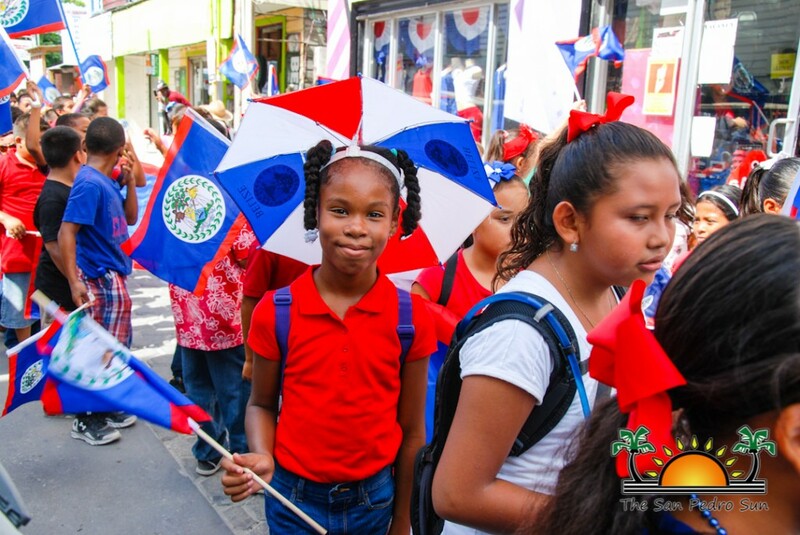 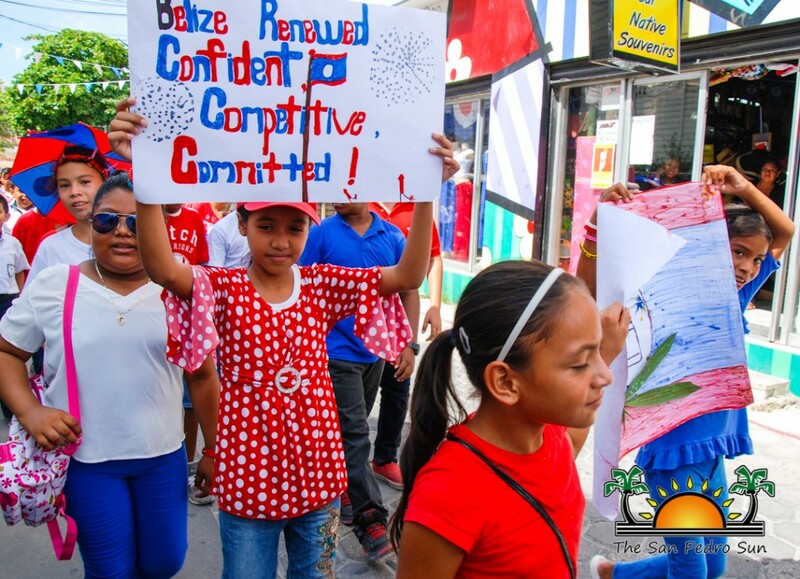 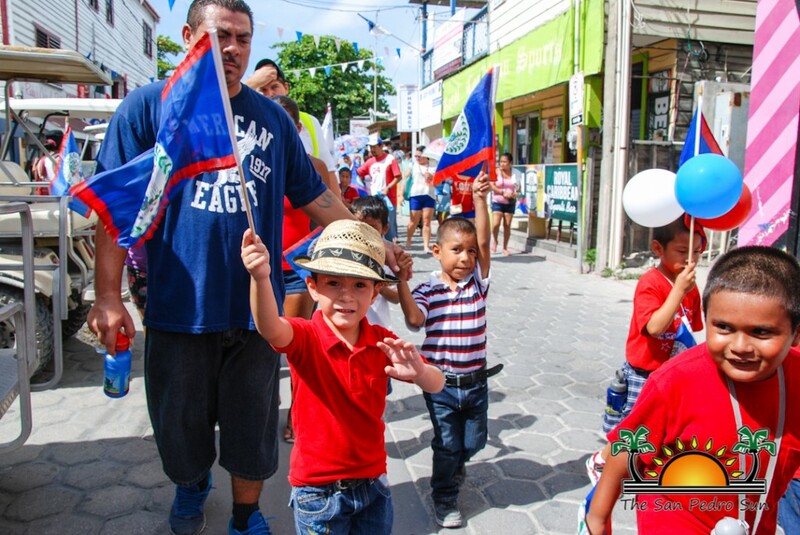 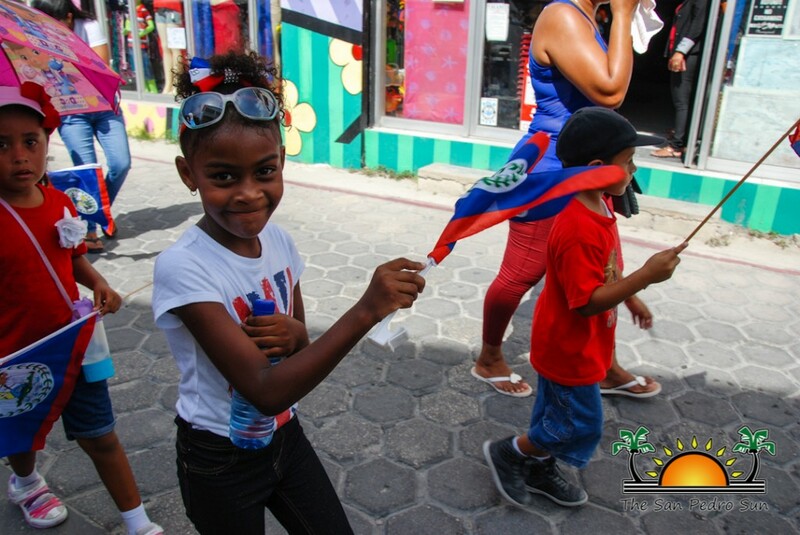 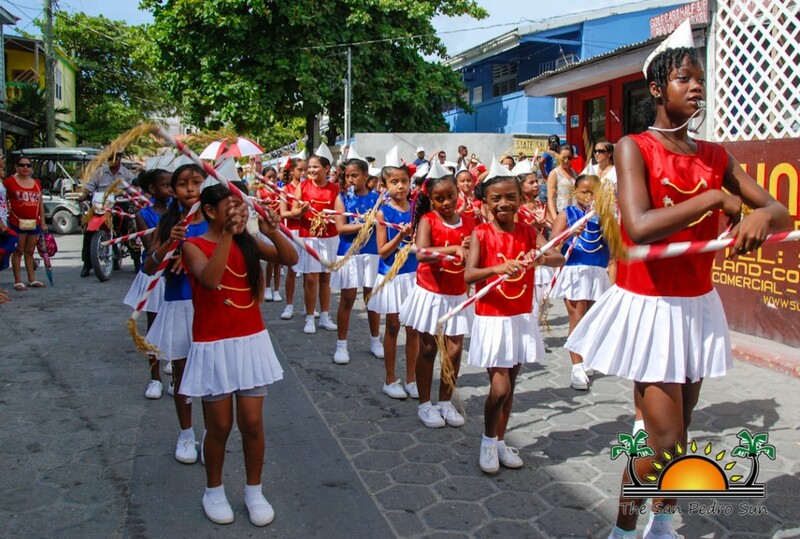 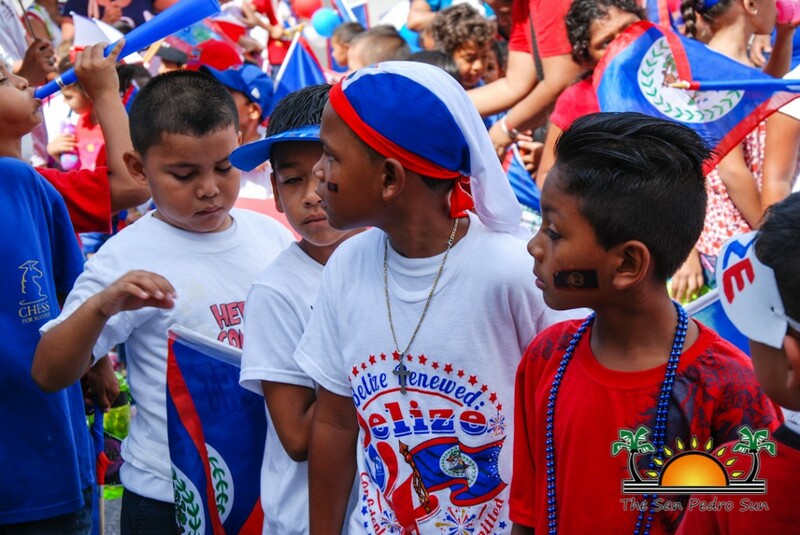 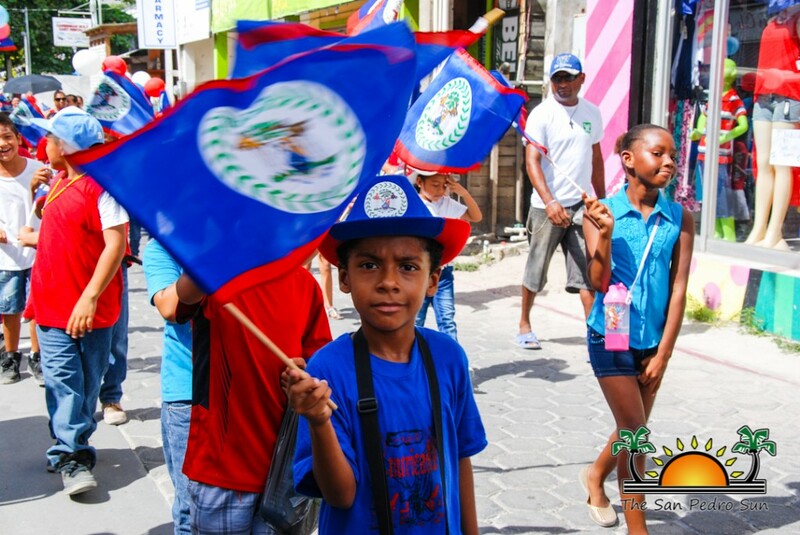 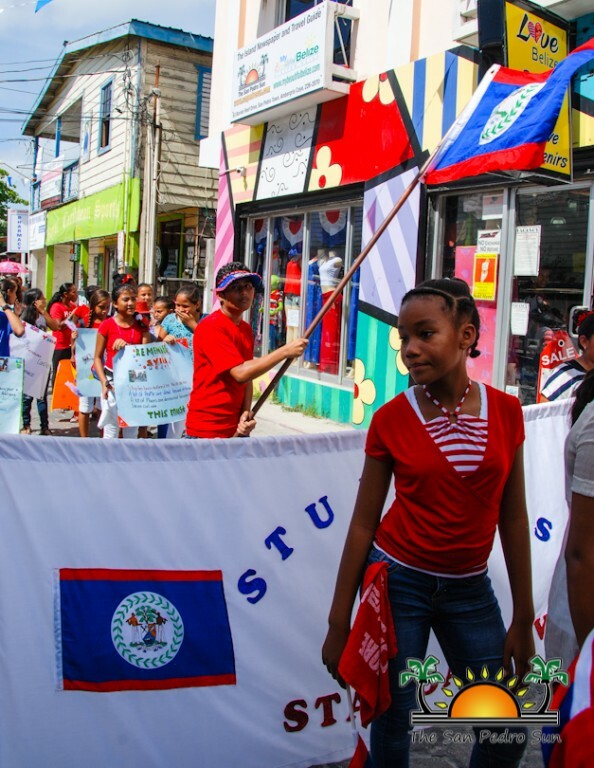 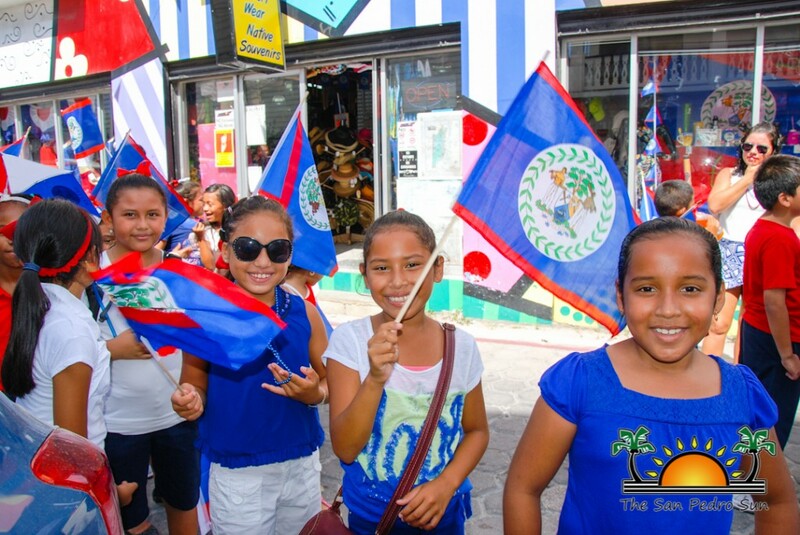 Hundreds of students marched through the major streets of the island dressed in patriotic colours. 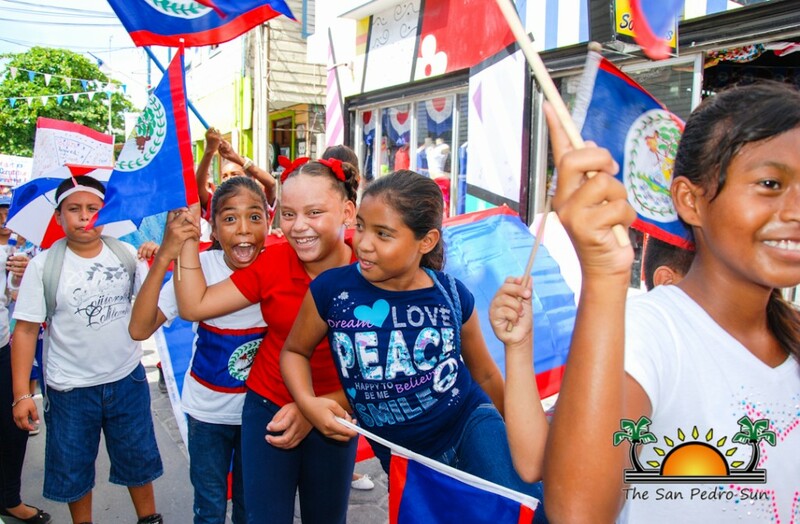 The rally is part of the September Celebrations events which takes place countywide. 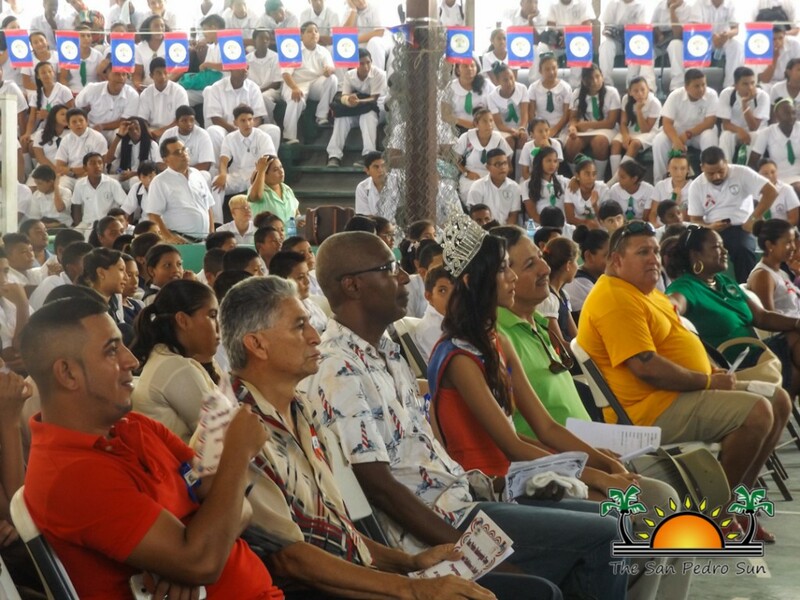 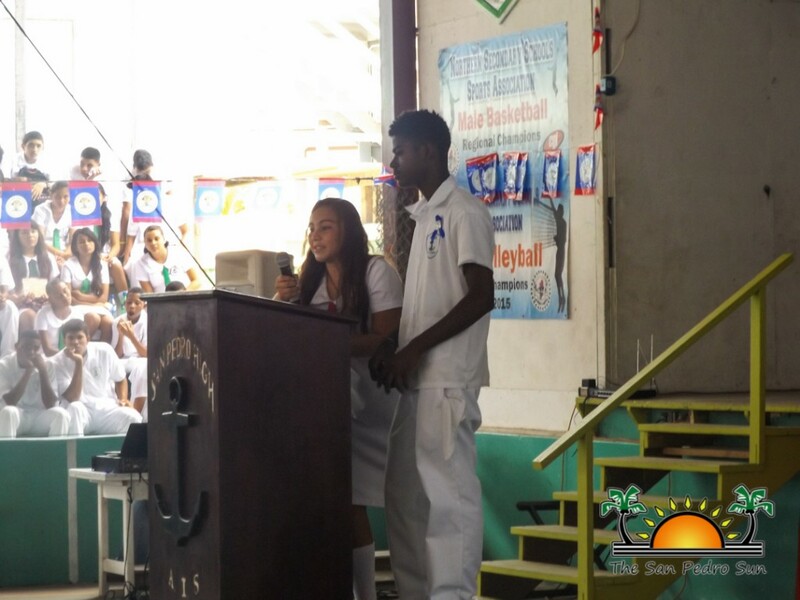 The Rally ended at the Angel Nuñez Auditorium, where students convened for a series of presentations, celebrating Belize’s Independence. 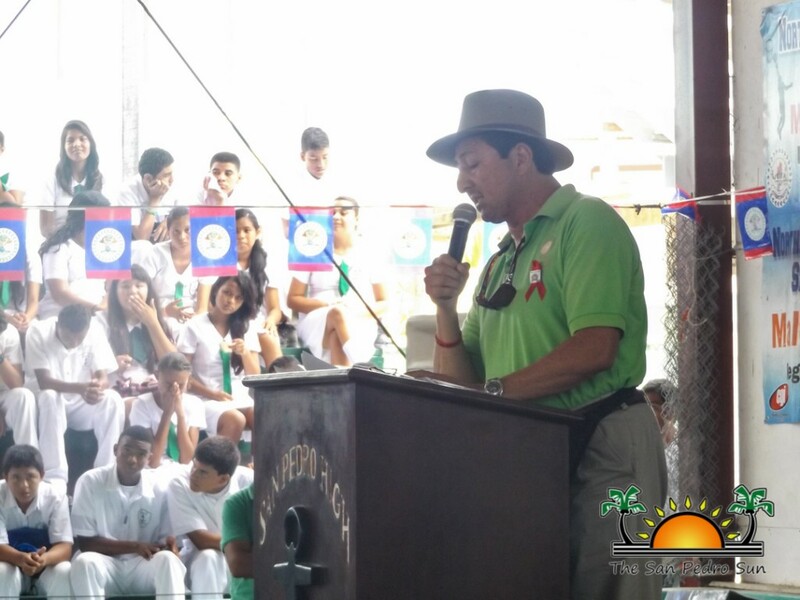 The program continued with the keynote address by Mayor Daniel Guerrero who encouraged everyone to learn about our patriotic heroes that shaped the nation in which we live today. 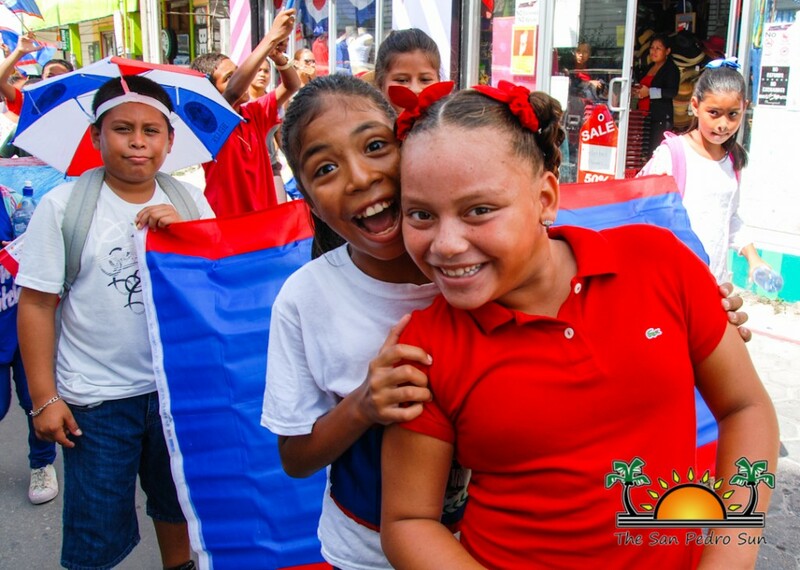 “I want to give everybody patriotic greetings from the San Pedro Town Council. 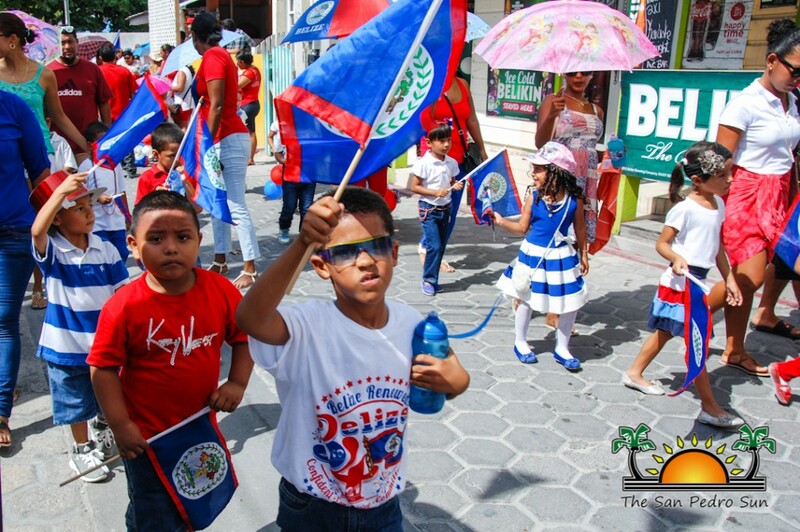 This rally is very vital for the development of the community, the country and the spirit of patriotism and pride our forefathers had. 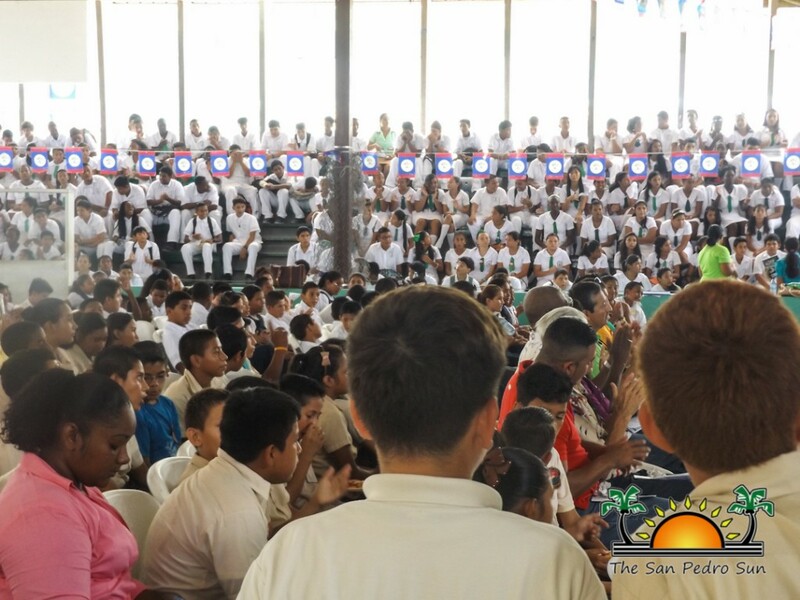 This is a time when principals, teachers, students, parents and everyone can come together and express suggestions, and ideas that can help our community. 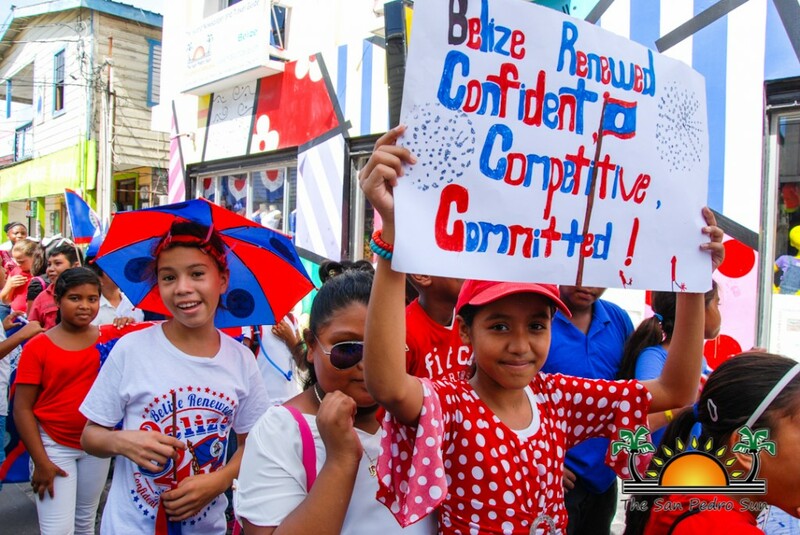 For us at the Council, education means a lot because we believe it is the best thing a child can get. 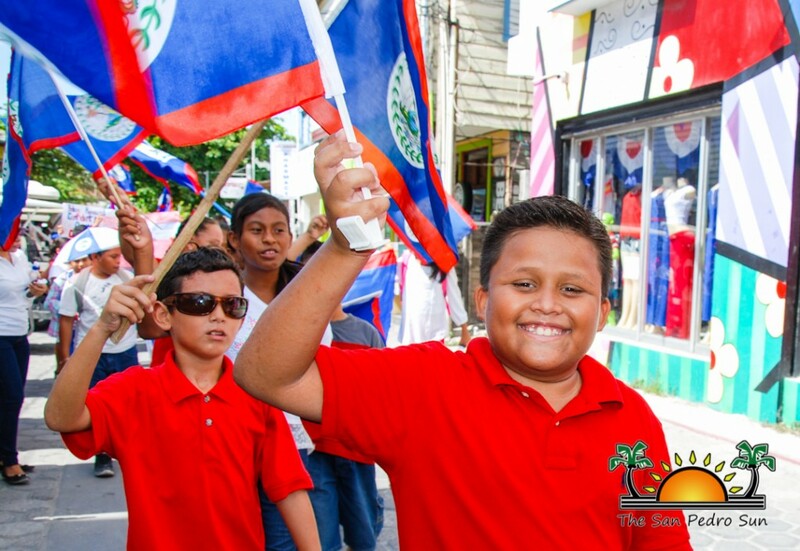 I want to encourage everyone to develop that sense of civic pride, by showing respect to others, your parents, our island and our country. 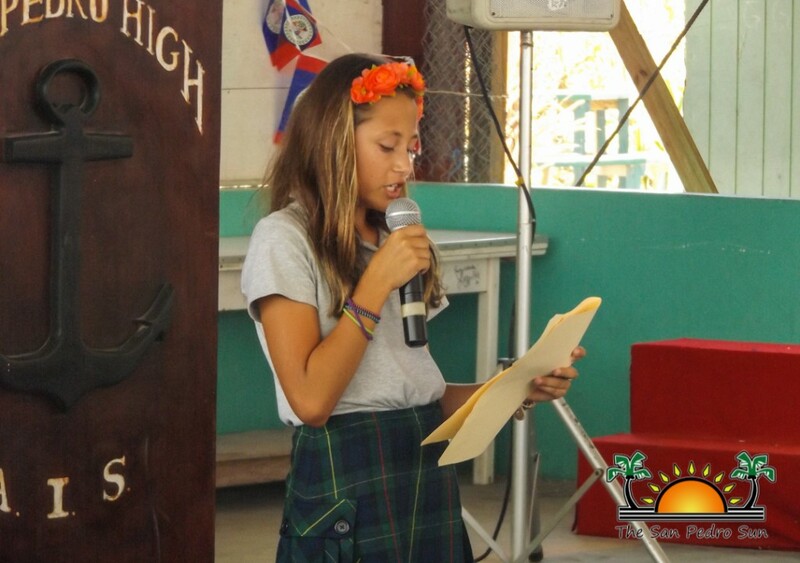 Remember to always be yourself and always take good advice and bear in mind the importance of always making your own decisions and not someone else,” said Guerrero. 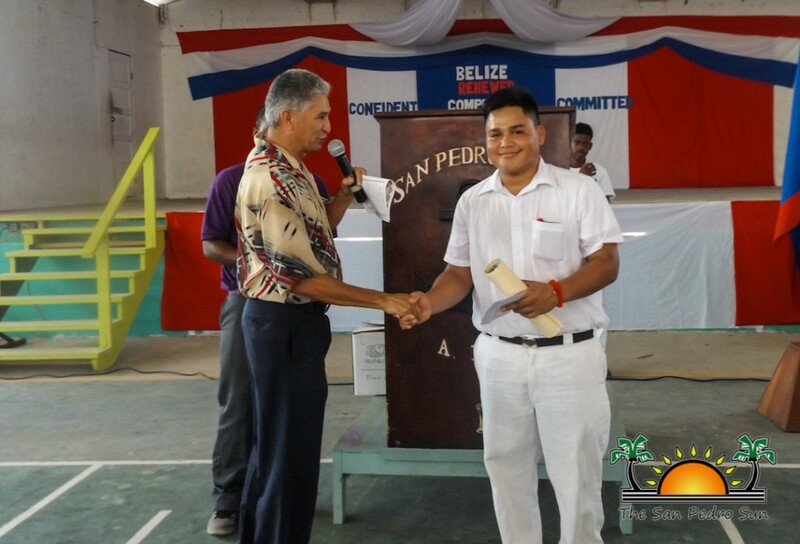 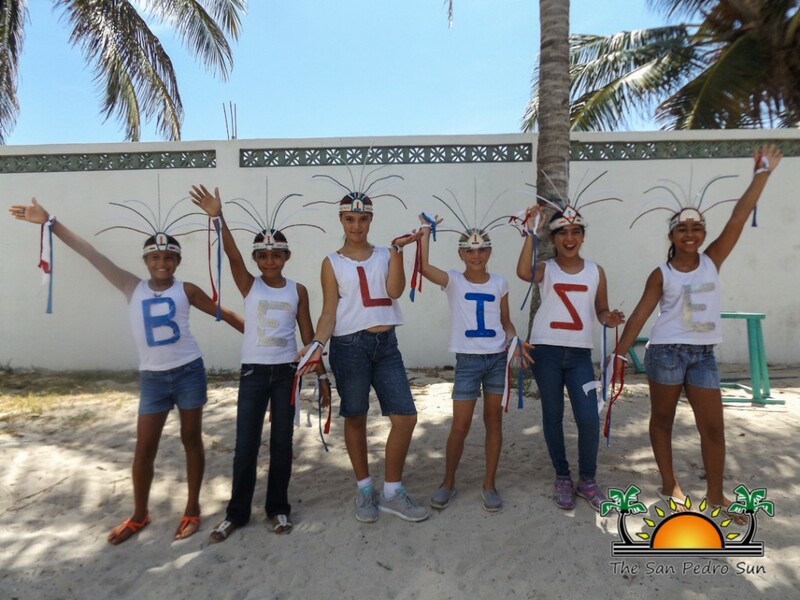 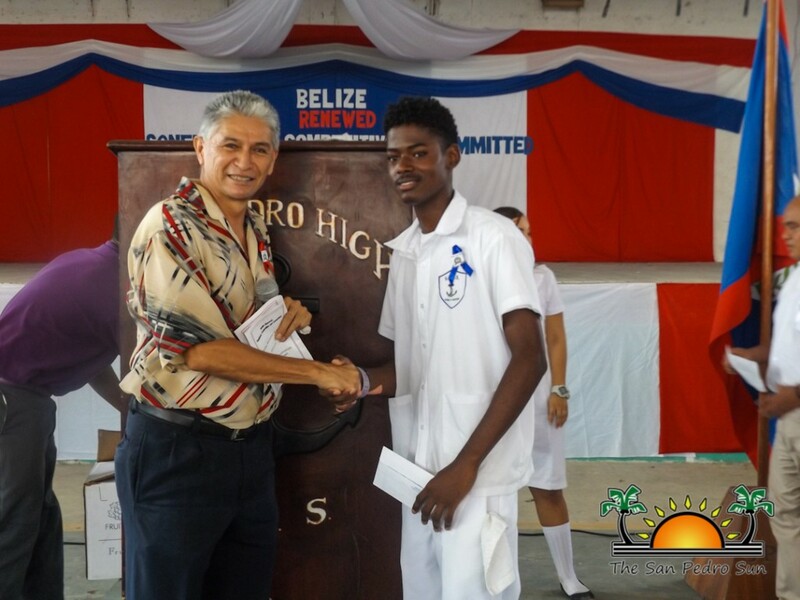 He also went on to mention the importance of knowing about the pioneers of Belizean. 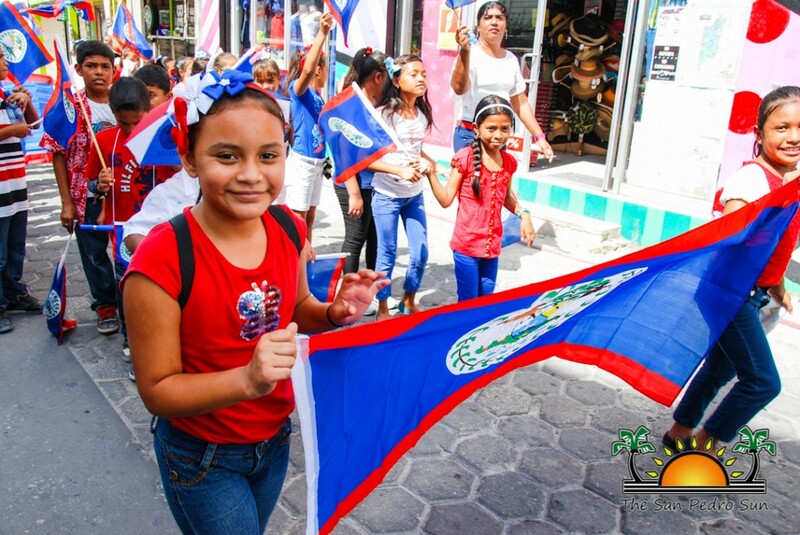 “We are a young country moving together as one people and one country. 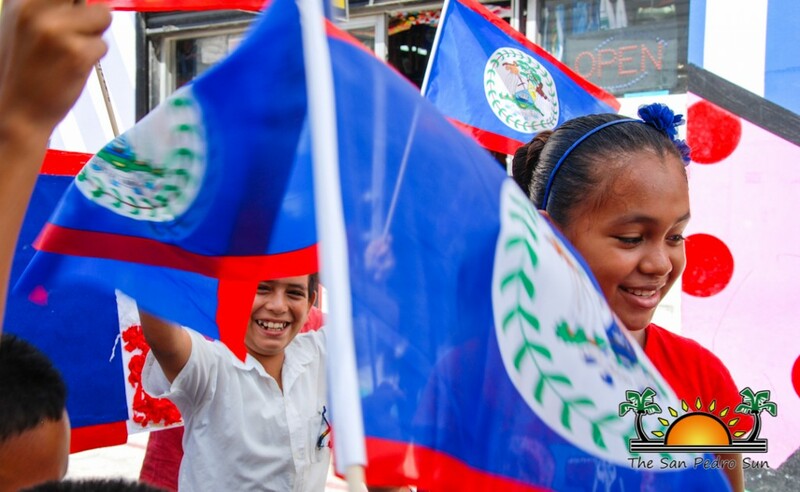 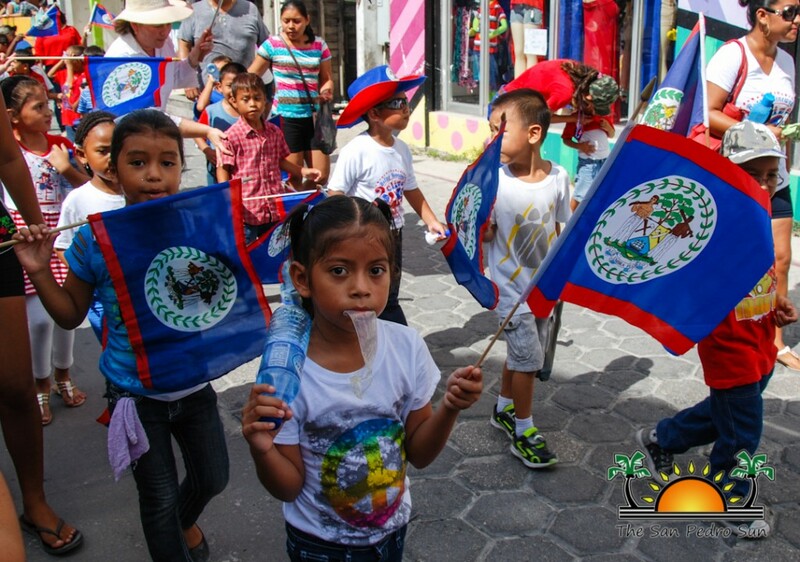 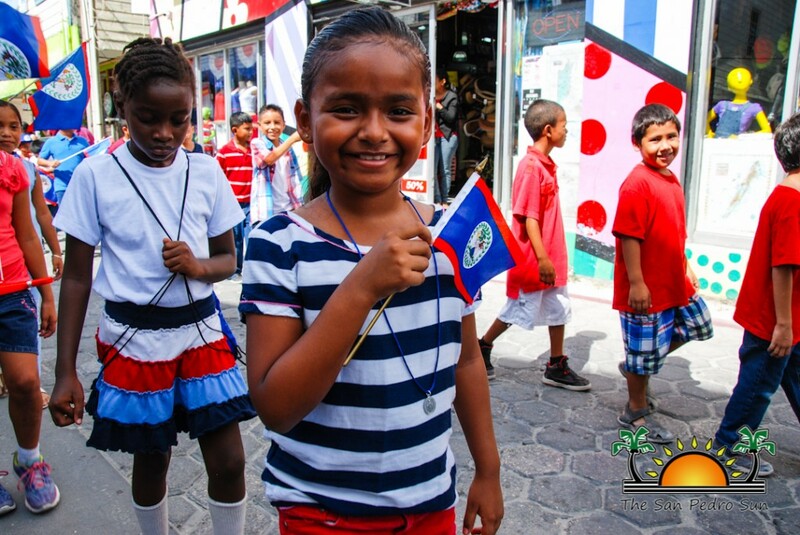 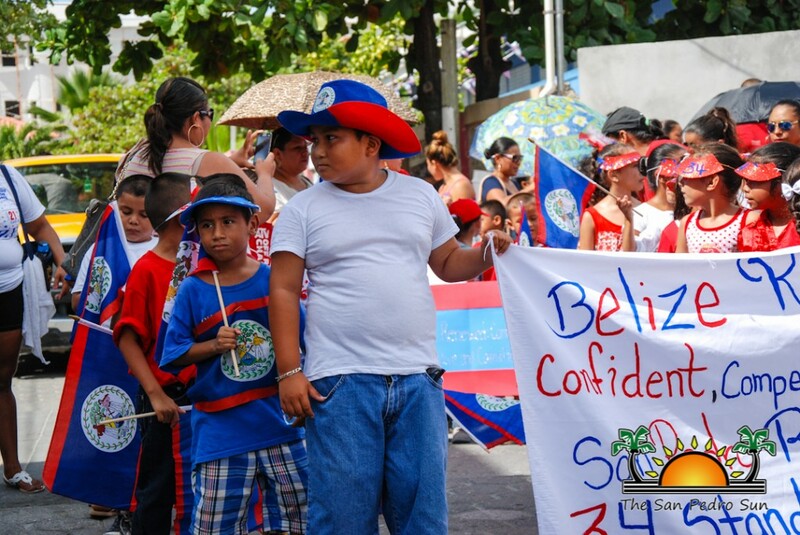 There have been many Belizean patriots, who led the struggle towards our independence in the 1981. 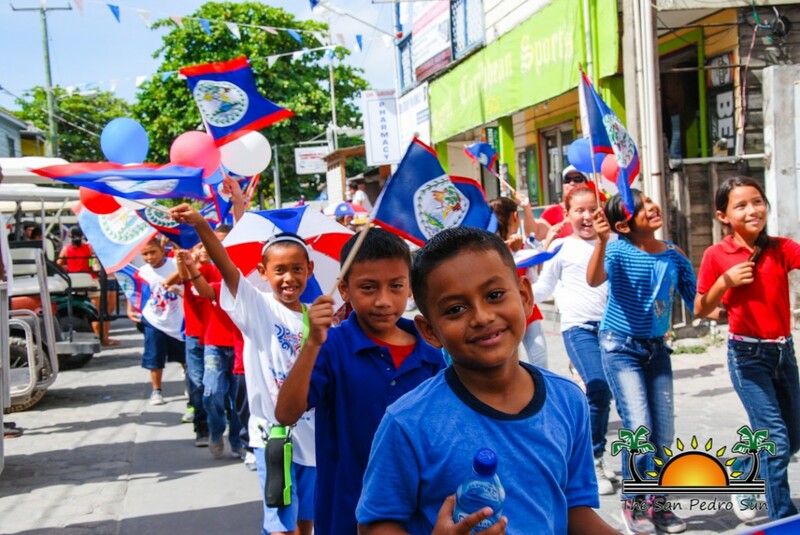 Our Father of the Nation, the late Right Honorable George Price and the late Honorable Philip Goldson are good examples of the patriotism we Belizeans should have. 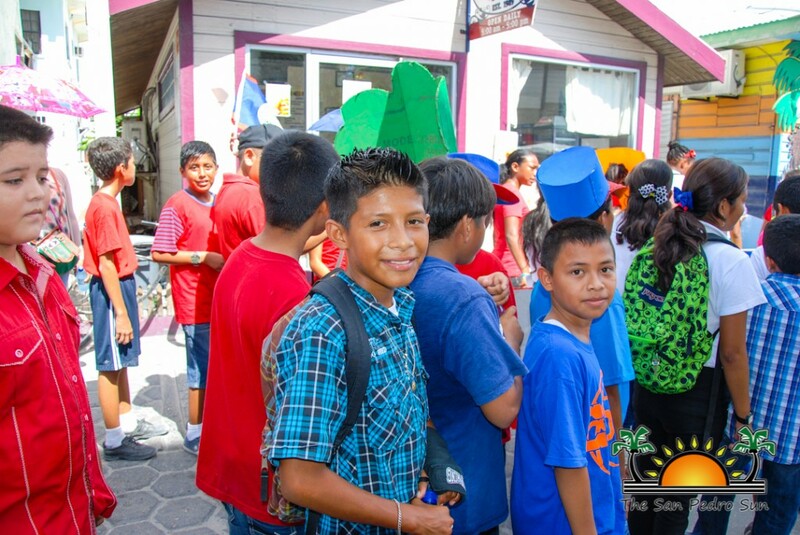 In San Pedro we work hard, we are united and that is the way to move forward. 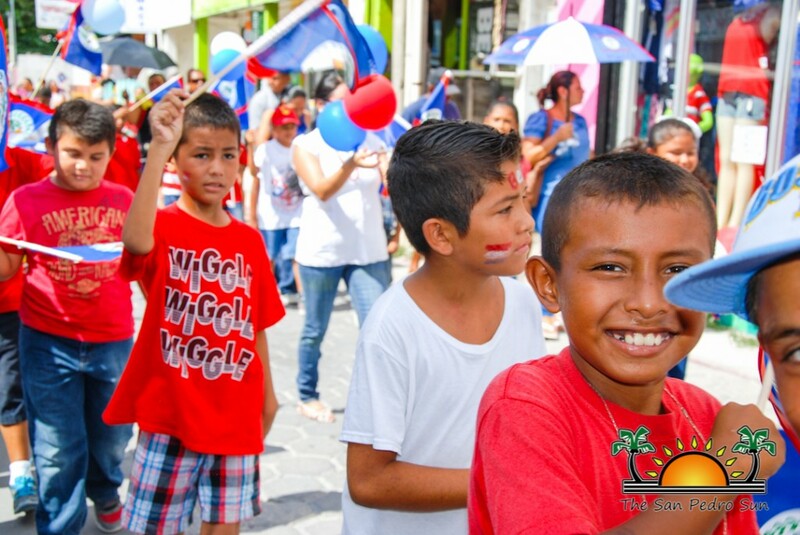 So I encourage you all to have that same spirit as our two national heroes,” ended Guerrero.